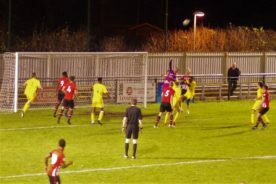 Fleet Town ran Southampton close but could not find that vital goal in a game decided by a fantastic 25 yard strike by Jonathan Afolabi after 30 minutes, when he took a pass in from the right, instant control with one foot and strike with the other the ball flew into the bottom corner of the net. 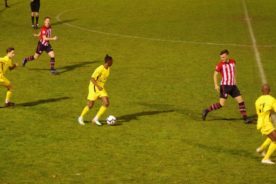 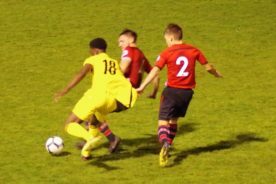 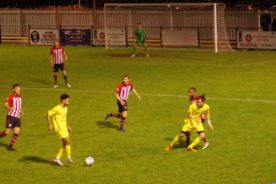 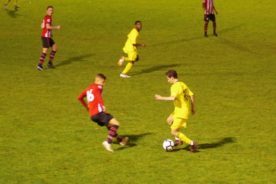 Southampton fielded a strong young side from their U18, U21 and U23 squads, some with international caps in their age groups or played in the U21 side in the EFL Checkatrade Trophy against Football League sides. 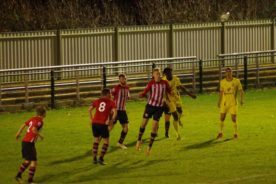 Fleet survived some early Southampton pressure, with Nathan Tella causing problems down the left wing and around the box. 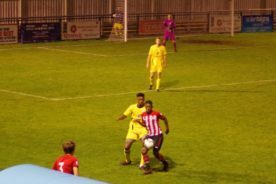 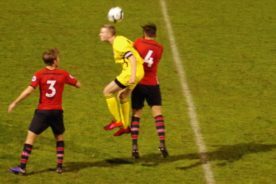 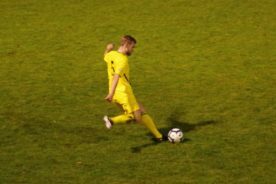 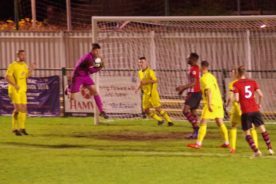 As the game settled down it was still the Saints that were in control, but Sam Williams, Jordan Stepney and Brendan Norris were all in fine form to keep them out. 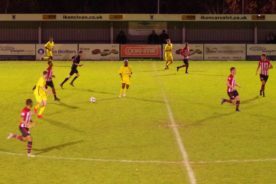 Fleet were able to make some attacks of their own through Danilo Cadete and Kofi Halliday, but then came the Southampton move that led to their goal, with Southampton looking for a quick second before the break, a Nathan Tella cross went through to Jonathan Afolabi by the far post to head home, but was flagged offside, so the game remained tight at 1-0 to the break. 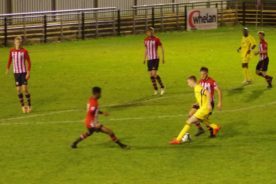 The second half again saw Southampton create most chances but Fleet’s defense and Keeper would not let them through, even when they lost the ball, the chasing back was superb, one that stands out was when Ronan Silva was dispossed on halfway he chased back and made the tackle, winning the ball, inside the box to deny Southampton a shooting chance. 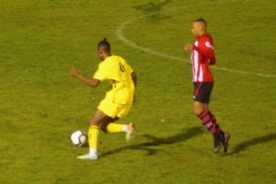 Even when Siphesihle Mdlalose flicked the ball onto Tyreke Johnson to power in his fierce left foot drive was saved by Brendan Norris. 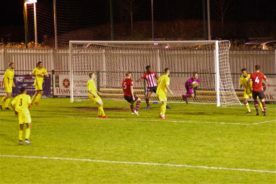 The final quarter when the Saints players longer training regiemes and fitness would have been expected to be a factor, it was instead Fleet that grew into the contest, Danilo Cadete played the ball to Daniel Framp, who cut inside and got a left foot shot away, which passed just inches over the bar much to the relief of Saints keeper Alexander Cull. 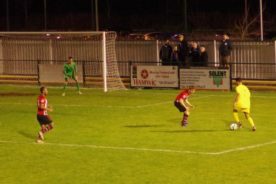 When Fleet made changes late on, the players brought on, Abdul Rajab, Layton Avenell and Enow Ojong all created problems for the Southampton defence, which resulted in Fleet being given several free kicks, but try and try again, the equaliser never came, with Saints keeper Cull making the final save from a shot by Harryson Wickens. 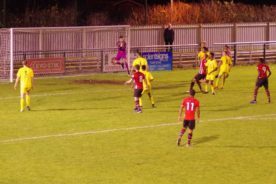 The game finished with this narrow defeat and Fleet exit the Hampshire Senior Cup with their heads held high. 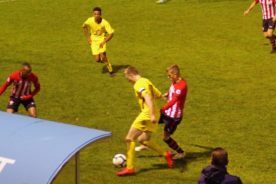 Some of the Southampton players had hoped to be impressing Kelvin Davis on the night, but Kelvin had to stay behind at St. Marys to plan for Wednesday’s game against Tottenham, having been caretaker first team manager following the departure on the day of Mark Hughes. 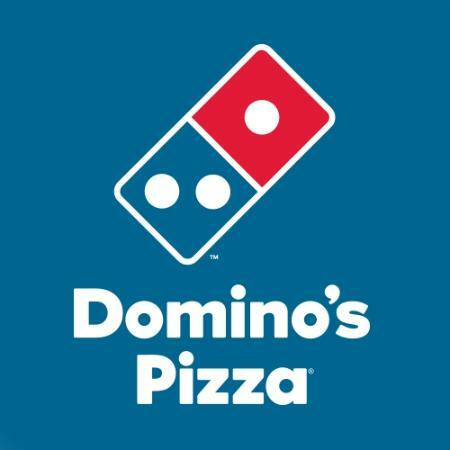 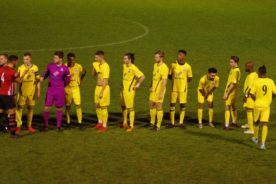 Fleet Town : 1 Brendan Norris, 2 Daniel Framp, 3 Callum Abraham-Barlow, 4 Ronan Silva, 5 Samuel Williams, 6 Jordan Stepney, 7 Kofi Halliday, 8 Billy Oram, 9 Meshach Williams, 10 Harryson Wickens, 11 Danilo Cadete. 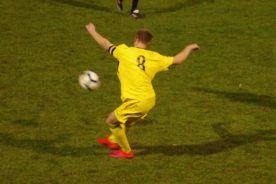 not used 12 Stuart Derry, 15 Danny Barham.